Chef Benjo Tuason serves up his homey creations. 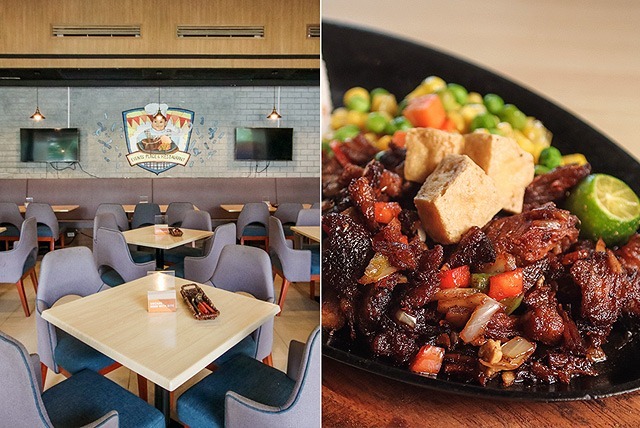 Open daily from 11 a.m. to 2 p.m. and from 5 p.m. to 10 p.m.
(SPOT.ph) Splice is simplifying things. 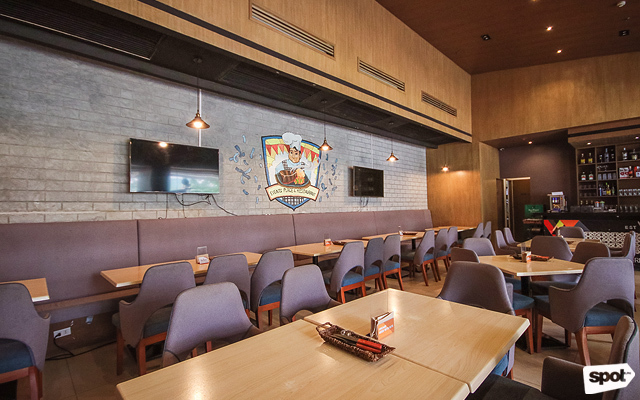 Their once 10-page menu has been condensed into one, and their interiors are slowly becoming less intimidating and more inviting. A newly painted mural shows a cartoon rendering of Executive Chef Benjo Tuason, the man in charge at the Splice kitchen. 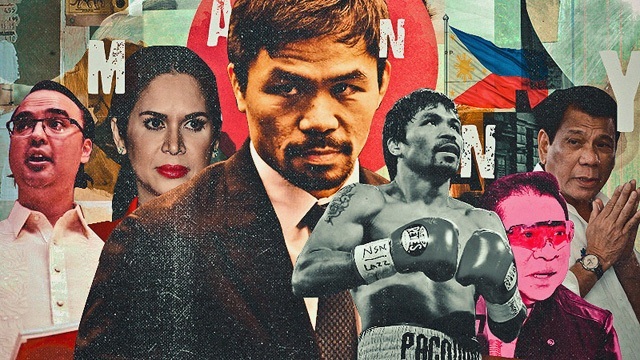 “I took over the kitchen just this February, and I didn’t want to start everything in one go. We chose a smaller menu because I have to get to know the staff and how they work. They also have to learn a lot, so we try to stagger it,” shares Chef Benjo. The recently launched menu may be more compact than its predecessor, but it lists everything you need to load up. The sizzlers section has been an instant hit. 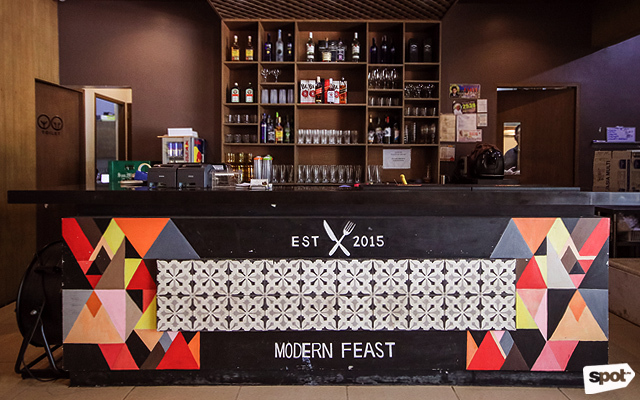 ”I grew up eating sizzlers, so for me, it brings back memories,” Chef Benjo tells us. 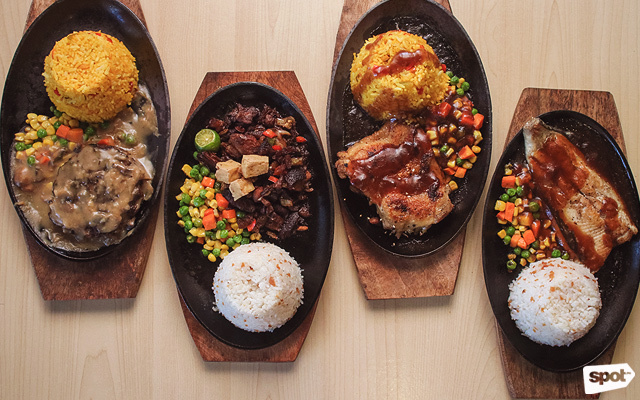 Your choice of protein is served with buttered vegetables and either rice or mashed potato, and an additional P50 will score you a glass of iced tea, plus unlimited rice and soup. Remember to pour the sauce (if any) as soon as the dish is served to hear that satisfying sizzle. 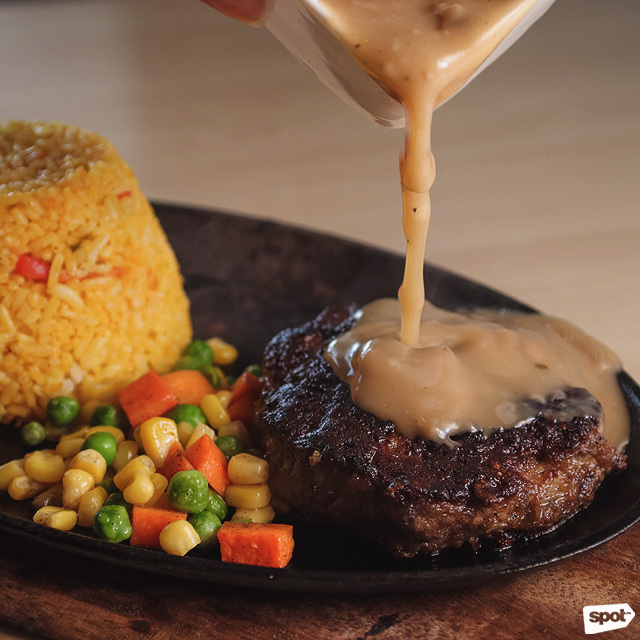 The thick patty of the Beef Hamburger Steak (P240), Chef Benjo’s personal favorite, is juicy and flavorful on its own, but the mushroom gravy is a fine addition that makes the serving all the more savory. 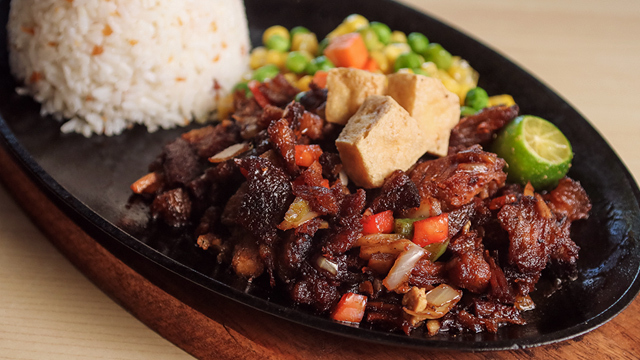 Meanwhile, the typical sizzling sisig is made more sophisticated at Splice. 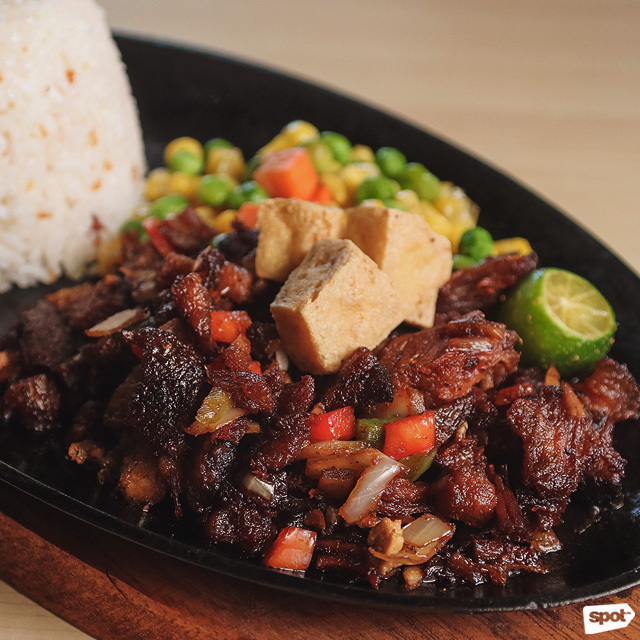 The Splice Sisig (P220) has bigger pork bits, each of which carries a balanced combination of spicy and smoky hints. There's also the Bangus ala Pobre (P200), which should satiate your seafood cravings. 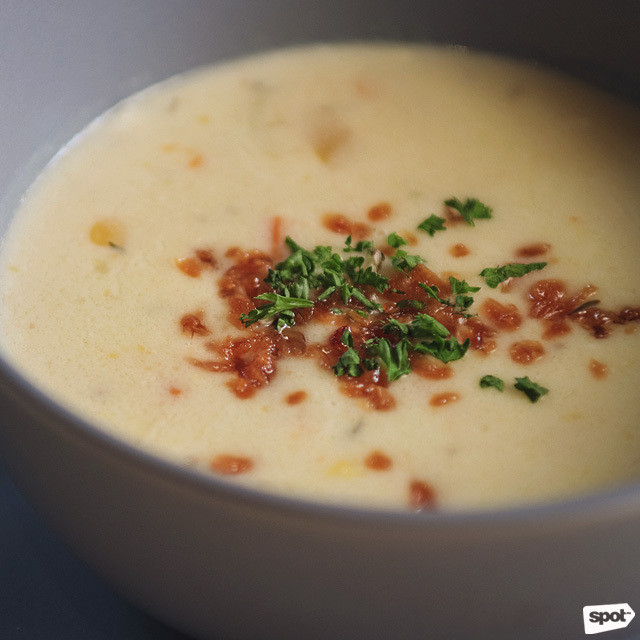 Find more comfort in their lineup of pastas. 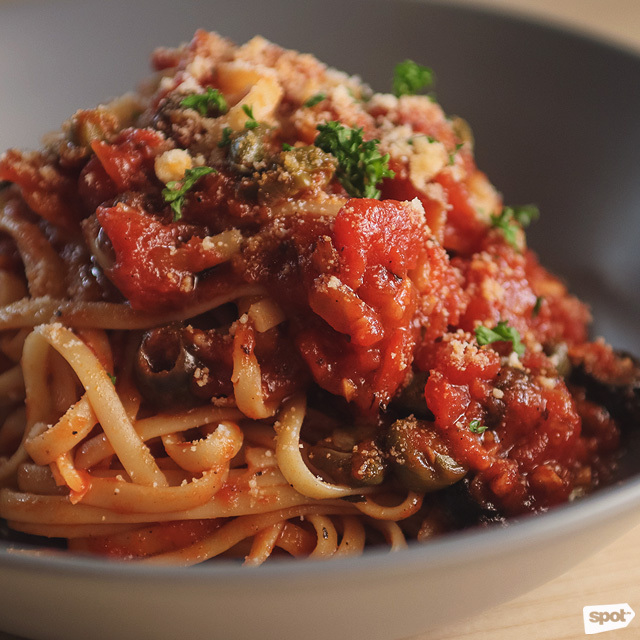 The Puttanesca (P200) is a briny blend of tomatoes, garlic, olives, capers, and anchovies. 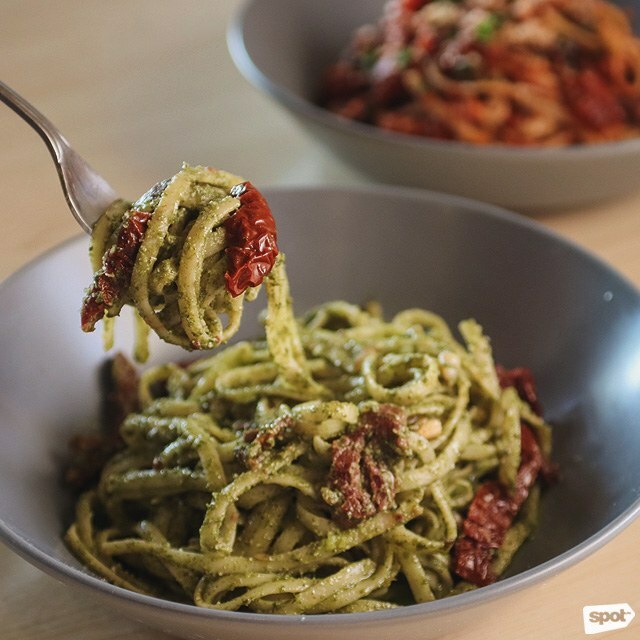 The Sundried Tomato and Creamy Pesto (P220), on the other hand, showcases a strong herby profile. A classic, the Spaghetti with Meatballs (P240) is your choice for the ultimate homey pasta bowl. A few burger options are on the menu, too. 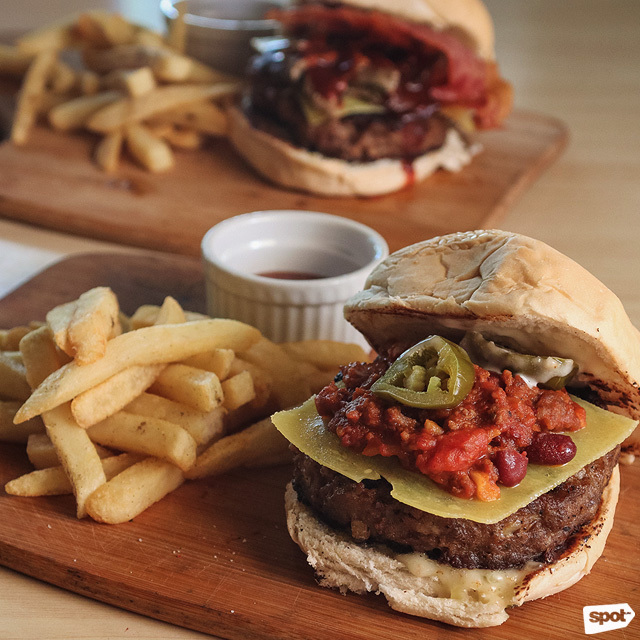 The Chili Cheese Burger (P260) is worth a try, thanks to the rich chili con carne and pickled jalapeño on top of the 1/3-pound patty. 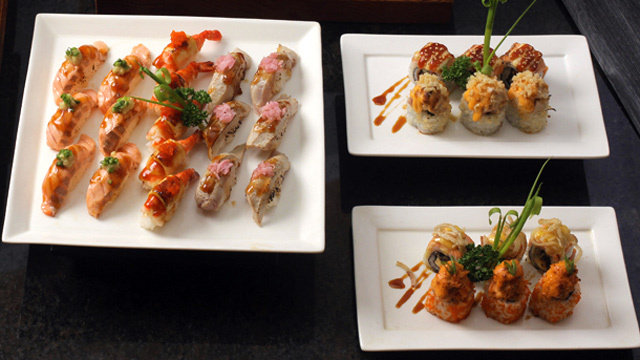 Starters, bar chow, sides, and desserts make up the rest of the new Splice menu. 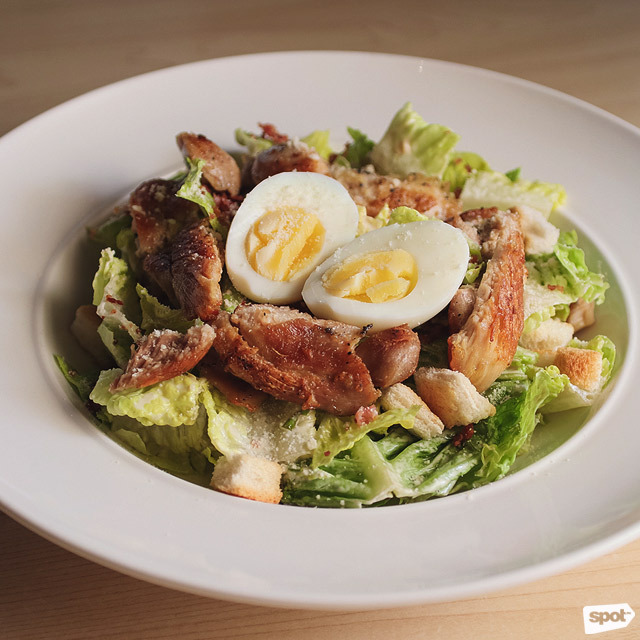 For appetizers, try the hearty and creamy Sweet Corn Chowder (P150) and the healthier yet still indulgent option, the Grilled Chicken Caesar Salad (P180). The Splice menu is still a working menu, according to Chef Benjo. “It’s always fun working in the kitchen. Getting to know the staff—it’s a good start. And then I’m slowly showing them my philosophy because those things take time. We’re slowly improving every day, and hopefully, soon enough, we’ll have our full menu launched,” he concludes.